what the heck does this word really mean? Wellness seems to be a popular buzz word that is thrown around a lot these days, especially in conjunction with the word health. I know I am guilty of using it a lot in my own blog, Instagram and even Facebook posts but when I stopped to think about it I was a little unsure if I was even using it correctly. 🙄 I caught myself dropping the word yesterday when I was talking to a friend of mine who I have been coaching for the last couple months and I realized it really can mean different things to different people. What wellness means to me may be totally different than what it means to my friend and to all of you out there as well! I wanted to dive a little deeper into what this word really encompasses so of course the first thing I thought to do was google it! By definition wellness means, “the state of being in good health, especially as an actively pursued goal.” Makes sense, right? Kinda, maybe? When I first read the definition I thought, ok yeah, that’s pretty much what I thought it meant. Then I read it a few more times and started really thinking about how that definition was a little bit vague as everyone’s ides of “good” health is different, but then again maybe that was the point? Maybe the definition is vague because what’s really important is how we chose to interpret it so it fits into our own lives…. Now some of those things mentioned above I implemented right off the bat, like cutting out fast food and holding myself accountable to working out 5 days a week for at least 30 minutes at a time. Some of them, like the super-food shake and the supplements came a little later on in the journey. So my idea of wellness has morphed along the way to keep up with the bigger and better goals I am continually setting for myself. 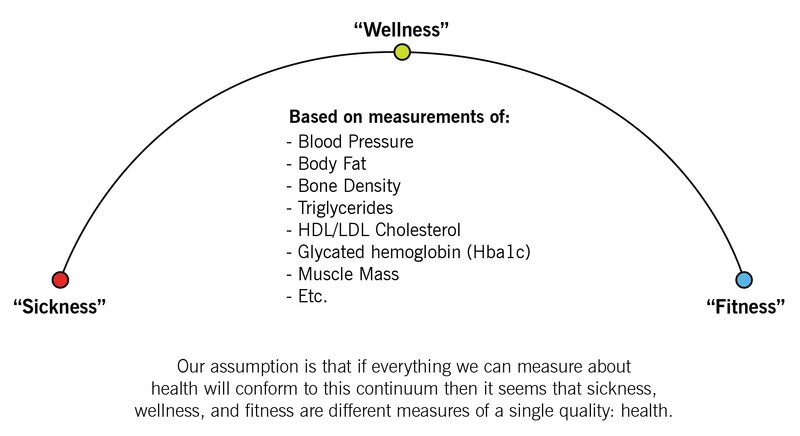 Makes sense then that wellness is a state of being and a fluid one at that. It is a state that I can constantly adapt to the ever changing needs of my body and mind. The ultimate goal with wellness, in my opinion, is to be able to live our best lives. Wellness is the vehicle with which we can get there. It is a way of life that at it’s core revolves around making optimum health a priority. It is a process that will not only change you but will change with you. Wellness for me now isn’t even a second thought. In the last ten months I have come to absolutely love taking care of myself and have fully embraced this new way of life. I am 100% committed to finding the best version of myself and living the happiest, healthiest life possible! Yes! I really realized after looking into it that is truly is a way of life not something you achieve and then walk way from. Thank you reading and commenting!! Look into Beta Glucan from mushrooms. Lots of great evidence of cancer prevention, especially breast cancer. For sure, wellness is the best vehicle to live our best lives. Reblogged this on Shawn Bellon's Official Blog. Following your blog! Love the way you put it. Wellness is a journey to be better version of oneself. Your list is similar to mine too. Consistently working out and mindful eating. Great post! I definitely use the term “wellness” differently than the dictionary definition. To me, wellness are the things I do to help support well being….not just a state of being well. I also do not do certain things for the sake of wellness. For example, my body doesn’t like certain food dyes, so I avoid putting them into my body. These are active steps I’m taking for the sake of my own wellness. Health, on the other hand, while similar has a whole other concept associated–it isn’t just thing I can do for myself–but likely would involve health-care professionals (doctors, nurses, hospitals, clinic visits, etc). Thanks for a great read! For me wellness is connected to becoming and being aware enough to be self-responsible, leading to learning which is equivalent to habit change. Loved how you put the term wellness and how it evolved over time for you. I’m on the road to that myself now. Great to meet like-minded people…as a nurse I see so many patients suffering terrible disease and disabilities which have been caused by poor lifestyle choices….I advocate a proactive as opposed to a reactive approach…prevention is always better than cure. Love to see how your plan is adjusting as you become more advanced on your journey to better health. It’s a lifelong journey that will truly add more quality years to your life. Thanks for sharing, and I look forward to reading more.